Watford are about to do business with none other than the current La Liga champions! Failing to keep a clean sheet in their last three league games has seemingly led Watford to line up a move a sensational transfer from Barcelona, ready and waiting to be confirmed in the approaching January transfer window. A solid start to the season for the Hornets has transformed into a bit of a malaise, with a single point gained from a possible nine, and that coming in a drab home fixture against struggling Southampton. In their last nine games, Watford have recorded half of the wins they managed in their opening four fixtures of the season, when under the guidance of manager Javi Gracia they went on a run of straight victories. Only five other teams have fewer clean sheets so far this season, with Watford leaking in 17 goals to leave them with a zero goal difference and at the end of the next gameweek, Watford may find themselves sinking further towards the bottom half of the table, should a defeat away to Leicester City - who sit directly below them in the Premier League table - be forthcoming. 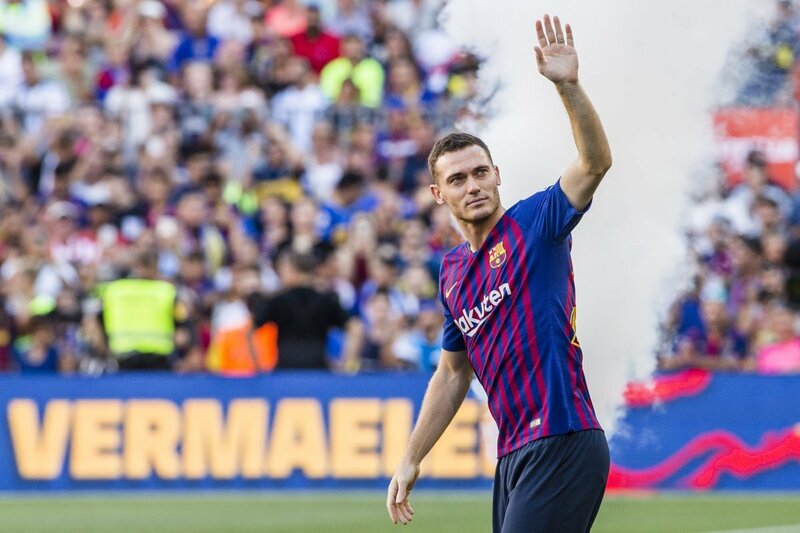 It is then welcome news that an agreement has been struck with the La Liga champions Barca to bring defender Thomas Vermaelen to Vicarage Road, reports Turkish publication fotomac. The Belgium defender is set to return to the Premier League after four years away. Vermaelen previously spent five years at fellow EPL side Arsenal between 2009 and 2014, making exactly 150 appearances, before moving to the Blaugrana in a £15million deal. Injury has blighted his career at the Nou Camp and the 33-year-old has made less than 50 appearances in three seasons, with a year spent on loan at Serie A side Roma. An amount for the defender, who brings a wealth of experience but simultaneously legitimate concerns about his fitness, has yet to be disclosed.